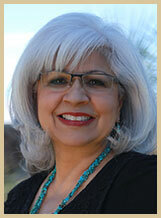 Meet our Las Cruces NM dental team! We are pleased to offer a range of dentistry services! Our team was carefully selected for their friendly qualities as well as the top-notch services they provide. 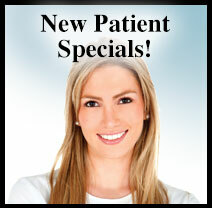 We know you will appreciate their warmth as they help in providing high-quality dental care. Regina is our office manager, and with 37 years of accounting and management experience is a great addition to our practice. 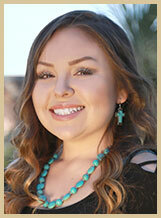 She attended WNMU in Silver City and the School of Accountancy in Tulsa, Oklahoma. Regina brings a positive attitude to the practice and believes that motivation and a dedicated work ethic are essential. Regina has been married to her husband, Tommy, for 39 years. They have a daughter and son who live in Las Cruces with their spouses and all of their wonderful grandchildren, who bring so much joy into their lives. Dawn began her dental assisting career in 1980 and joined our team in 1988, and has faithfully been Dr. Burris's right hand! Her certifications include CEREC, dental sedation, cosmetic dentistry, reconstructive and rehabilitative dentistry, sleep apnea appliances, and biometrics in support of TMJ dysfunction. She's also a member of the Association of Dental Implant Auxiliaries. Dawn values our modern technology and advanced treatments and our team's commitment to quality. She is especially knowledgeable in computer programs in the dental field, and is mostly in charge of that aspect of the office as well as her many other duties as head assistant. For many years now she has volunteered in a very different aspect of dentistry. Ask her about her very first time assisting Dr. Burris in a surgical suite at the El Paso Zoo! Dawn has been married to her husband, Mike, since 1983. They have one son, who is the light of her life. Away from the office, Dawn reads, knits, has held several positions in her church, and is a loving, committed wife and mother. She likes to refer to many of her patients as extended family and is always happy to see them as they return for their dental visits! 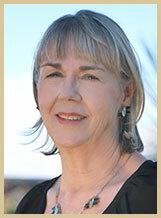 A member of our team since 2006, Margie brings with her over 30 years of experience in dentistry. She loves working with patients whether in the operatory as an assistant or greeting patients as a receptionist. She is cross-trained in both areas, speaks fluent Spanish and a little German, and is happy to interpret when needed. She has completed extensive training and has certifications in CEREC, sleep medicine, sleep apnea oral appliance therapy, biometrics to treat TMJ pain, cosmetic dentistry, advanced cardiac life support, and radiology. Margie is also a member of the Association of Dental Implant Auxiliaries. She likes our high-tech, progressive practice, and she loves seeing patients achieve beautiful, healthy smiles. Margie has traveled with Dr. Burris to Honduras and Guatemala, assisting in medical/dental mission trips through the Open Wide Foundation and also volunteers her spare time alongside Dr. Burris assisting at the El Paso Zoo, restoring or extracting big teeth on "lions, tigers and bears, OH MY!" Margie has three sons and a daughter. She and her husband, Ron, enjoy winter skiing, hiking, and camping. She also enjoys making jewelry, reading, knitting, crocheting, and spending time with her eight grandchildren. Daisy, now working at the front desk as a patient care administrator, brings over five years of experience as a dental assistant. 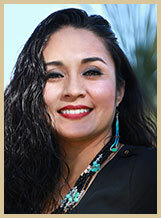 She obtained her dental assisting degree from Dona Ana Branch Community College in 2004. Because Daisy possesses "that compassionate, caring, touch" and likes helping people, she appreciates that our work environment and leading-edge technology enable her to give the best of care to all patients. Daisy is certified in CEREC™, dental sedation, cosmetic dentistry, sleep apnea appliances, biometrics in support of TMJ dysfunction, advanced cardiac life support, and auxiliary implantology. She speaks fluent Spanish, another plus, as she treats our bilingual patients! Daisy likes to cook (not bake!) and spend time with her daughter and son. A recent east coast transplant, Maggie is a National Board Qualified Dental Assistant who brings with her over 30 years of experience in the dental field. 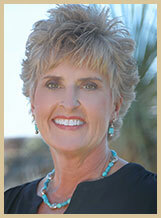 Her background includes periodontics, children's dentistry, oral and facial pain, and general dentistry. She also taught "The Essentials of Dental Assisting" at Montgomery College in Maryland and is a certified radiology technologist in three states, including New Mexico. Maggie loves getting to know her patients and thoroughly enjoys her visits with them. She and her husband moved to Las Cruces to be closer to their children and four grandchildren who live in the southwest. Another plus to living in this area is being able to hike and bike year round, something Maggie could not do back east. She is an avid reader and enjoys sewing in her free time. 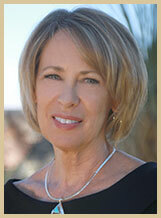 Renee joined our team in 2008 and has been a dental hygienist since 1983. She attended Pennsylvania State University and graduated in dental hygiene from the University of Pittsburgh School of Dental Medicine. 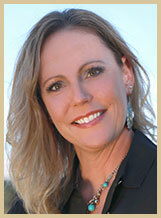 Renee has experience in many facets of dentistry, including management and consulting. She is certified in local anesthesia, advanced laser therapy, and auxiliary implantology. She values the quality of care that we provide and believes in educating patients to help them achieve a lifetime of oral and overall health. Renee is newly remarried and has two children, a daughter and a son. Away from the office, she enjoys spending time with her family. Her hobbies include photography, nutrition, running, and physical fitness. Susanna has experience both working in the dental hygiene industry as well as instructing future dental assistants in Santa Fe, NM. She received her Associate's degree in Dental Hygiene from New Mexico State University and her Bachelor's degree in Dental Hygiene from the University of New Mexico. She not only brings a love of her job to work every day, but she also has a personality that makes everyone around her happier. She enjoys spending her free time with her husband Josh, who is currently finishing his PhD in Industrial Engineering, and their wonderful new baby girl, Avery Mae. Arianna joined our team in 2016. 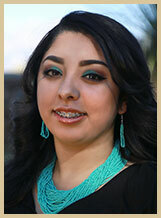 She graduated from Las Cruces High School and started taking dental assistant classes in El Paso, TX. She is DANB certified and New Mexico-licensed. Her own dental anxiety was what drove her to want to work in this field to do her best at making every patient’s visits more comfortable and pleasant. In her spare time, she helps out with running her parents’ restaurant and also works their food truck on the weekends at the local farmers and crafts market. When not busy working, she spends her time with family and caring for her four fur buddies. Kari started working for Dr. Burris in 2017, with 21 years of dental experience. 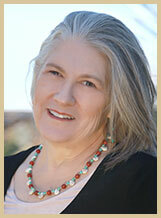 She had her assistant training in Abilene, TX, and is CDA-certified through DANB and New Mexico-licensed. Although a licensed assistant, she also has many years of experience in scheduling, management, insurance, and training of employees. She enjoys working with patients and helping with their dental needs. Kari has lived in New Mexico for 19 years and is glad to call it home. Outside of work she enjoys quality time with her teenage daughter and also a number of sports activities. Elexis (or Lexi) has been a part of our team since 2015. She came to us as an Excel intern student from Las Cruces High School. Since then, she has taken the steps to becoming a dental hygienist and is currently enrolled as a full-time student at New Mexico State University, taking her prerequisites to apply to the dental hygiene program. Elexis currently works closely with our hygiene team as an assistant, helping the hygienists maintain optimum oral health for our patients. Her duties do not end there. She also helps keep the office running by keeping up with our sterilization and stocking and keeping things organized. 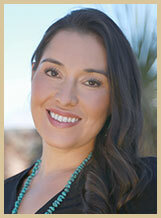 Outside of work, Lexi was born and raised in Las Cruces, New Mexico. Her hobbies include sports and weight training. She is also a foster parent of two young, loving children, seeking to give them a better life full of love and happiness. With all the hard work she puts in, she strives to have a career in the dental field as a successful dental hygienist. Our talented team members bring years of combined dental experience to our ultra-modern office. Schedule a visit today at (575) 522-1983 to experience our team first hand.